Below are samples of the trainings provided by KNEA to and for locals. We urge you to contact your UniServ Director if you have questions about a training or if you need a training in something that is not listed here. Are you struggling with college debt? Educators have a huge responsibility and should not have to navigate managing college debt alone. The good news is, you don’t have to do it alone. We have a program to help you and your colleagues discover ways to better manage, reduce and in some cases perhaps eliminate your college debt. For details, contact Rex Hull. An emerging leader training, REACH stands for Reaching to Engage, Affirm, Challenge, and Honor new members. It is held each year for educators and support professionals with eight or fewer years of experience who have been identified by colleagues or staff as having potential leadership skills. REACH has been called one of the best learning experiences because members use the techniques and training received with students as well as with parents and other education employees. REACH topics include hands-on team building activities plus communication, assertiveness and learning about useful KNEA resources. For details, contact Kevin Scarrow. The many quality professional development resources offered locally through KNEA include classroom management and student engagement, strategies to prevent and deal with bullying and Professional Development Council training. Localized services include the KEYS Online Survey, which provides data for school improvement planning, and KNEA’s Quality Public Schools cadre, which helps with school improvement efforts. For details, contact Idalia Shuman. Multiple opportunities are available for those interested in professional negotiations. A bargaining conference, which covers the nuts and bolts of negotiations preparation and practice, is held twice per year. The KNEA Bargaining Academy for advanced negotiators is held annually. 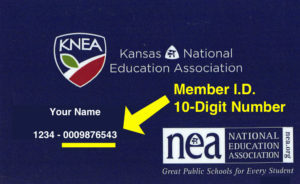 KNEA offers various services, resources, and presentations on compensation issues at the local and UniServ levels. For details, contact your UniServ Representative. Organized at the local level, these sessions start at 5 p.m. and end at 7 p.m. Four topics are covered: financial planning, identify theft, home buying, and job changes. Localized topics can replace a standard. For details, contact Kevin Scarrow. Planning for your retirement? These sessions sponsored by KNEA Retired provide a step-by-step guide for retirement planning plus give you the latest on Social Security, KPERS and legal issues. For details on seminars in your area, contact Rex Hull. For college students studying to become teachers, there are various campus events throughout the year. The Fall Conference focuses on leader development issues and the spring Representative Assembly involves professional issues. For details, contact Kevin Scarrow . Newsletters, websites, message development, public speaking, internal and external campaigns that promote your association and Kansas public schools, crisis communications. All of these and more are available for you and your local. For details, contact Marcus Baltzell. Two types of training are available. Both are customized to meet local needs. The first is for those preparing to bargain health insurance. The second is for district health insurance committees. Includes the booklet “More Than An Apple A Day – A member guide to health care and insurance.” For details, contact your UniServ Director.